Welcome to the International Business Innovation Collaborative. Through this new and exciting program, students from Columbus, Surgut and Moscow will have the opportunity to work together to create a business. Students will collaborate through the use of Google Docs, as well as frequent Skype meetings. As the students work through this project, they will learn about business concepts as well as international relations and trade. Each month, students will meet with business professionals from both Columbus and Russia, who will share expertise with the students. The project will be broken into three phases, the first of which has already begun. This first phase will consist of curriculum design. During phases two and three students will execute the program by designing and running their own business. Additionally, in the second and third phases, students from both nations will have the opportunity to travel to meet with colleagues in their home countries, with Russian students first visiting the U.S., and then American students visiting Russia. It is the intent that this incredible project will lay the groundwork for many more years of continued collaboration and intercultural exchange between the U.S. and Russia, strengthening ties between these two great nations. How did this program come about? 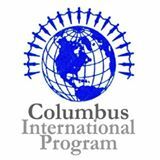 The Columbus International Program will be funding this program through a grant they received from the U.S. Embassy in Moscow. This grant is a part of the embassy's U.S.-Russia Peer-to-Peer Dialogue Program. This program was created with the intent of fostering greater contacts between Americans and Russians. The idea of the grant is to support unique projects centered on Russian-American peer-to-peer collaboration, including an exchange of best practices between Russians and Americans on a topic of mutual interest. Projects must be non-political in nature and focus on Russian-American peer-to-peer dialogue or people-to-people engagement on themes of mutual interest that support greater understanding of shared values, institutional and professional development and strengthen the awareness of the merits of inclusive societies. Participants are encouraged to incorporate innovative methodologies to accomplish program goals and foster interaction among peers. Successful projects will result in a product or outcome which enhances interaction and understanding between our two societies. The Columbus International Program has been serving the Columbus community for over 45 years. They are serving as the liaison between parties in the U.S. and Russia involved in the project and are funding the program through a U.S. Department of State grant. The Junior Achievement of Central Ohio (JACO) serves kindergarten through twelfth-grade students by teaching them about personal finance and business through the Company and other programs. JACO will be guiding students through the process of creating their business model. ​Wellington is an independent school in Columbus, Ohio with students in preschool through grade 12. Founded in 1982 by a group of entrepreneurs, The Wellington School takes an innovative approach to teaching and learning that encourages intellectual curiosity while also developing critical skills for future success. Lingua is the largest private international language school in Surgut, Western Siberia, Russia. They have been operating successfully in the Russian education market for 25 years. In Lingua classrooms, there is a focus not only on the English language, but also civic values, and life skills. Surgut is a city in Russia, located along the Ob River, with a population of about 341,000. Located in the northern part of Western Siberia, Surgut is one of the oldest cities in Siberia and the unofficial oil capital of the country. Considered a young city, the bulk of its population is between 25 and 35 years old. Columbus is the largest city and capital of the American state of Ohio, with a population of about 850,106. The city has a diverse economy based on education, government, insurance, banking, fashion, defense, aviation, food, clothes, logistics, steel, energy, medical research, health care, hospitality, retail, and technology. Moscow is Russia's cosmopolitan capital, located on the Moskva river. The largest of the three cities involved in our program, with a population of about 11.92 million. Moscow is one of the world's largest urban economies, one of the fastest growing tourist destinations in the world, and one of the greenest capital cities in Europe.